Some have called Chief Straub's reform ideas "brilliant," while others bristled at his management style. The timing couldn't have been much worse for Spokane Mayor David Condon. But there he was last week — well-financed and well-positioned to secure an elusive second term — explaining to reporters why the ax was falling on his hand-picked chief of police. Just eight minutes earlier on Sept. 22, a press release went out summoning reporters to City Hall for the hastily arranged announcement. Flanked by City Council President Ben Stuckart, Condon described Frank Straub's management style as abrasive, saying the chief's command staff accused him of emotional outbursts, inappropriate use of profanity, personal attacks, scare tactics, demeaning and condescending treatment and untruthfulness. "After receiving concerns over the last several weeks of his management style, it was clear we needed to move in a direction, change management," Condon said. When asked to talk more specifically about officers' complaints, Condon referred reporters to a public letter signed by senior police officials. Then city spokesman Brian Coddington cut the press conference short, allowing for fewer than 12 minutes of questions. Since being elected in 2011, Condon's efforts to improve oversight of SPD have had mixed results. In 2013, voters overwhelmingly passed Proposition 1, which gave the ombudsman independent authority to investigate police malfeasance. For his part, Condon struck a compromise with the Spokane Police Guild and in negotiations didn't have the union acknowlege the ombudsman's independent authority — something activists say undermines Prop. 1's mandate. Then on Jan. 2 of this year, the city's first police ombudsman, Tim Burns, officially retired. He has yet to be replaced. In June, meanwhile, an investigation into the citizen commission found that three members had "abused their authority" and created "an intimidating, hostile and offensive environment." At the center of the investigation was then-commission chair Rachel Dolezal — a Condon appointee — and the commission was left without a quorum. "That is a huge failure," says Liz Moore, director of the Peace and Justice Action League of Spokane, of the long ombudsman vacancy. "It does come down to the mayor." Condon counters that his administration has put more oversight and citizen confidence back into the Spokane Police Department, noting that it has implemented the recommendations of the Use of Force Commission report, collaborated with the U.S. Department of Justice on reform efforts, equipped officers with body cameras and trained them in de-escalating encounters with individuals experiencing mental health crises. Condon proudly points to how his efforts caught the attention of the White House, where he and Straub were invited to talk at a forum on community policing this summer. "We see the confidence in our police department growing substantially," says Condon, who adds that the family of Otto Zehm, a mentally disabled man who died at the hands of Spokane police in 2006, has endorsed his re-election. The stakes are very real for Condon. Four years ago, after a poor primary performance, he upset Mayor Mary Verner in the general election, largely by calling for better management and oversight of Spokane police after Zehm's death. "Prosecutors, police officers, and city attorneys all contributed to this terrible situation," Condon said in a press release at the time. "Ultimately, Mayor Verner is to blame for failing to put on the brakes." Four years later, the same pattern is unfolding. 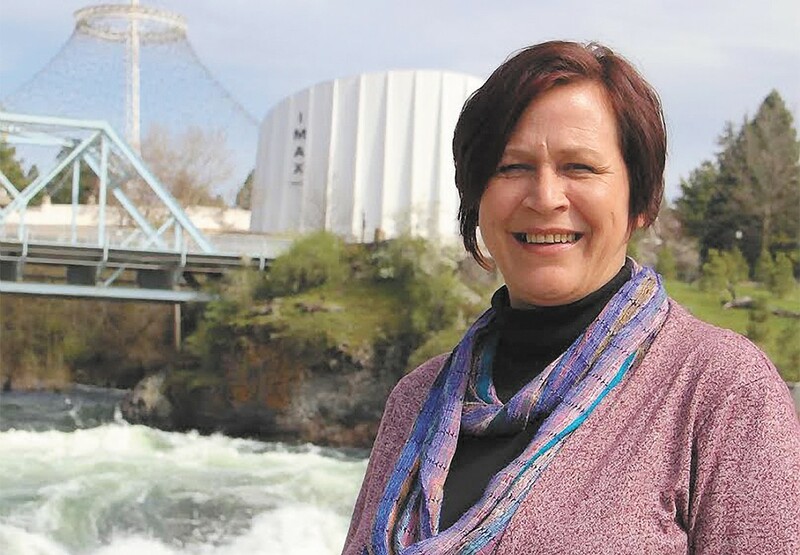 Shar Lichty, a political organizer with little name recognition, limped through the August primary with 24 percent of the vote to Condon's 66 percent. Lichty has hammered the mayor on the issue that got him elected, focusing on his handling of the police ombudsman. More recently, she's criticized Condon for not dealing with Straub more swiftly. "I don't think Straub should have ever been put in that position in the first place," says Lichty. Shar Lichty has spent six years as a progressive political organizer. Now, she has her eye on the mayor's office. Many questions about Straub's downfall remain unanswered. Neither the mayor, nor members of the police department, nor Straub himself will specifically address the complaints lodged against the former chief. He's staying on the city payroll (earning about $180,000 annually) through the end of the year, reporting to the city attorney. An assistant chief has been tapped in the interim as Condon decides the next steps. "I find it highly odd that the chief is taken out this close to the mayor's re-election for yelling at staff," Spokane County Sheriff Ozzie Knezovich said when reached by phone hours after the announcement. "I think there's more to the story." Unsatisfied with the pool of applicants to replace former Police Chief Anne Kirkpatrick in 2012, Condon extended the application deadline and invited Straub to apply in June of that year. When the decision came down to two candidates, the mayor's pick drew criticism from a panel of law enforcement officials who interviewed Straub. Their objections centered around the fact that he had never been a chief and wasn't a commissioned officer — to say nothing of the criticism that dogged his tenure as the public safety director in Indianapolis. Russ McQuaid, a veteran crime reporter from Indianapolis who has covered the police for more than 20 years, offered one example. When Straub started there as public safety director in 2010, he instituted a new policy restricting communication with the media. McQuaid, who had spent his career building relationships with Indianapolis police, suddenly was being turned down for interviews. When McQuaid complained, Straub defended himself over the phone by saying that his officers misunderstood the direction. "It's not my fault if these cops are too f—-ing retarded to read English!" Straub yelled into the phone, according to McQuaid. McQuaid adds that Straub had some good ideas for Indianapolis, but his management style prevented him from effectively implementing them. "He's a hatchet man," McQuaid says. "He's good agent of change, but not a good agent of improvement." Still, the mayor endorsed Straub and personally paid to fly in four Indiana residents to testify in front of the city council on Straub's behalf. After hearing from a retired Indianapolis Star editor, a working police officer, a retired police officer and the head of Indianapolis' firefighters union, the council approved Straub unanimously. At the time, Condon said it was the most important decision of his first term. Condon says Straub struck him as knowledgeable and had an impressive track record in Indianapolis. That record included demoting three commanding officers after accusing them of mishandling an accident scene where a drunk cop crashed his patrol car into three motorcyclists. The officers ultimately sued the city, resulting in a $175,000 settlement. Straub also fostered a contentious relationship with the police union, whose members accused him of manipulating crime stats and mismanaging public safety funds. In 2012, Indianapolis' public safety budget was $30 million in the red, according to news reports. Then there were allegations of a romantic relationship with a subordinate. Straub has said that relationship didn't begin until he resigned from his post in April 2012, noting that Indianapolis, unlike Spokane, has no city policy against such relationships. Straub resigned in Indianapolis ahead of an expected vote of no confidence from the City-County Council. 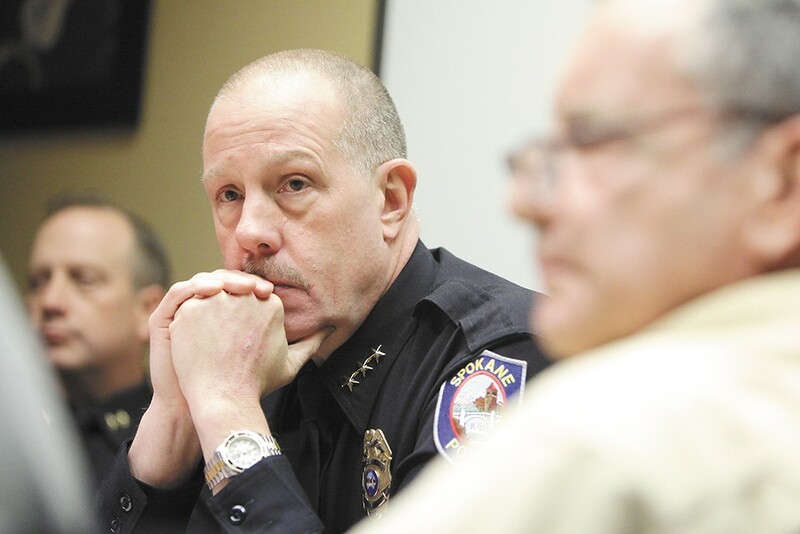 Though he's been forced out, Straub's relatively brief tenure as police chief has brought about significant changes to the Spokane Police Department. "I think it's a loss for [Spokane]," says Rick Eichstaedt, executive director of the nonprofit Center for Justice. "He did a lot to deal with police accountability and restoring trust. It sounds like he had backlash within the department, but I think he was good for Spokane." Straub has implemented all but one of the recommendations of the Use of Force Commission, a panel appointed by the mayor to look into the police department's use-of-force policies. Out of it came the department's body camera program, which started with 17 officers and has expanded to 90 officers today. Straub also embraced the U.S. Department of Justice's review of his agency's use-of-force incidents and training practices. That's one of the issues that Straub discussed with the Inlander in a brief interview after his resignation. "I think we have to continue to work with the Department of Justice in the collaborative reform process," he says. "I think the department and the leadership team will continue to do that." Crime has also dropped since Straub's arrival. Many officers attribute this to his implementation of the CompStat data program, which uses crime statistics to deploy officers to "hot spots." Crime fell 12.5 percent in 2014 and has dropped another 12 percent so far this year. Jan Quintrall, Condon's former director of Business and Developer Services, resigned in January after being criticized for spending city funds on a lavish lunch at the upscale Spokane Club. "I think the department, prior to his arrival, was stuck in the 20th-century policing of arresting bad guys and writing reports," says Spokane Police Capt. Craig Meidl, who is now in charge of the Northeast Precinct after stepping down from his position as assistant chief within months of being promoted. "He did more in three years to open our eyes than several chiefs prior to him, in terms of the police department connecting with their community." Meidl points specifically to the precinct model, the Youth Police Initiative and the Police Athletic League as efforts for increased community engagement under Straub. There is also plenty of criticism. In the Use of Force Commission's final letter, Straub was given the choice of whether or not to conduct a cultural audit of his department. That audit remains incomplete. In 2014, Tim Connor, a former Center for Justice spokesman and law enforcement watchdog, filed an ombudsman complaint against Straub. The complaint alleged that the chief lied during a city council meeting when he said he was working with the Center for Justice to develop policies and procedures, which Connor says was untrue. The same year, retired Spokane Police Officer Brian Breen lodged another complaint against Straub, also alleging that he lied to city council by exaggerating the number of domestic violence cases fielded by Spokane police. Straub's leadership team also endured frequent turnover. Within a year of becoming Spokane's top cop, Straub watched as his hand-picked senior staff opted for demotions. "I was told to change things and change them quickly, and sometime that's a very difficult and unsettling process," Straub says. "I can't help that people find that difficult." Among police staff members who distanced themselves from Straub are two women who were transferred out of the department but continued to draw their pay from the police budget. Carly Cortright left her job as police business services director in October 2013, but continued to collect her $82,494 salary from the police budget for 15 months afterward. Monique Cotton, the police department's former spokeswoman, was suddenly transferred to the parks department to manage communications in May. The administration has given a shifting explanation for why Cotton was transferred. In August, Spokane City Administrator Theresa Sanders told the Spokesman-Review that Cotton was given a $9,000 pay increase as an "enticement" to take a job that didn't come with union protection. But last week, Condon told the Inlander that Cotton told him she was having "trouble" in the police department and was looking at other opportunities in the city. The city first tried to move Cotton to the fire department, according to Assistant Fire Chief Brian Schaeffer. The raise, says Condon, wasn't an "enticement," but was given as part of a step increase and because the position would include marketing and management duties. For Eichstaedt, from the Center for Justice, the conflicting reports suggest a cover-up. "I'm disappointed with how this was handled by the city," he says. "We know that people were moved, and regardless of what Straub did, there was this fiction portrayed to the public as to why." As for Straub's legacy, Councilman Jon Snyder, who has clashed with Condon, says it's hard to pin police reform on one person. But Snyder credits Straub with crafting and implementing the rollout of police body cameras and for embracing the U.S. Department of Justice's investigation of the police department, which was initiated under Mayor Verner. "I think that Straub has brought this department into an intentional conversation about improving policing," he says. Tom Keefe, an attorney and former chair of the Spokane County Democrats who has twice endorsed Condon, says that Straub had trouble getting support from the rest of the department. "I have a feeling that the people applauding the most about the departure of Frank Straub are the same people who were saluting Officer Karl Thompson [convicted in the fatal beating of Otto Zehm] and the same people who were applauding the acquittal of officers who shot Shonto Pete," says Keefe. Ever since the police ombudsman position was created in 2008, there's been a tug of war between the city administration and the Spokane Police Guild over precisely how much authority the ombudsman has. In 2011, an arbitrator ruled that the ombudsman's ability to conduct independent investigations had to be negotiated because it contradicted the terms of the Guild's existing contract. In an attempt to remedy that in 2013, voters approved Proposition 1, an amendment to the city charter giving independence to the ombudsman and preventing future union contracts from prohibiting such power. However, Condon struck a compromise with the Guild and created the Office of Police Ombudsman Commission, a five-member volunteer board of citizens, that the mayor argued satisfied the requirements of Prop. 1. Keefe, the Condon supporter, says, "I think that we wanted something with real flavor in it. And I think what we ended up with is a mashed-potato-and-white-bread sandwich." The city council also wasn't happy with the agreement, voting it down unanimously only to later approve a slightly modified agreement. Under the existing arrangement, the ombudsman can sit in on and ask questions during a police internal affairs investigation, and certify that it was conducted in a timely and thorough manner. The ombudsman commission can also ask for a third-party review of a case, which it hasn't done to date. The ombudsman himself can investigate independently in certain situations, provided that an internal affairs probe is not involved. That has also never occurred. Connor, the police watchdog, blames Condon for not negotiating more aggressively with the Guild, but also faults city council for caving in to pressure to approve a modified agreement that he says wasn't much better. "The Guild pushed back, and the city botched it," he says. "Then we went back to a system where the ombudsman is not an ombudsman." 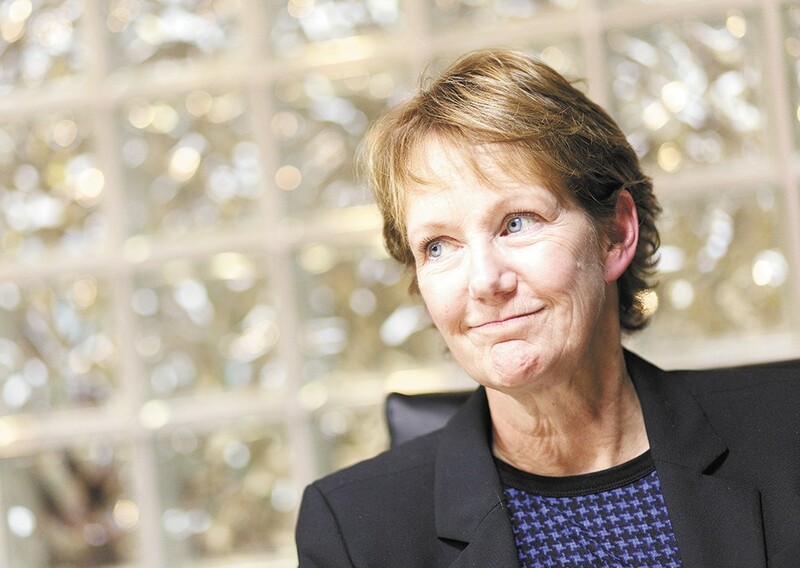 Shortly after Burns' departure as ombudsman in January, the OPO Commission began to crumble. Two commissioners resigned and one was removed in the face of a scathing report which found that they "abused their authority," violated the Open Public Meetings Act and belittled office staff. Separately, a search committee, chaired by City Attorney Nancy Isserlis, was charged with finding a new ombudsman and ultimately providing the commission with three potential candidates. Snyder, who chairs the city council's public safety committee, faults Isserlis, who didn't return multiple calls seeking comment, for not finding an interim ombudsman. He says he's been told that no one is qualified, an assertion he says is "patently false." Moore, of the Peace and Justice Action League of Spokane, says that search committee did a poor job of vetting the candidates. "Probably two of the finalists really bring into question how well that group is functioning," says Moore. Although each of the three finalists are qualified, says OPO Commission chair Deb Conklin, each comes with his own baggage, raising a basic question: Did anybody Google these people? Allen Huggins has been critical of the Black Lives Matter movement in the comments section of the Wall Street Journal website. Robert Breeden left his previous post at the Florida Department of Law Enforcement after an internal investigation found that he "violated numerous policies," "created a hostile work environment" and was described as a "potty-mouthed micromanager who ... bullied subordinates." Raheel Humayun, the only finalist who has not served as a police officer, works in the Office of the Ombudsperson in British Columbia and would need a work visa that could take months to acquire. The selection process has drawn criticism as well. Starting in February, the committee met in executive session, which means their discussions were not made public. Coddington, the city spokesman, told the Inlander that the executive sessions were necessary to protect the identities of the 41 applicants, most of whom had other jobs. However, after the committee announced in May that they'd whittled the pool down to 14, naming each candidate in their minutes, it continued to meet in private. "What I find concerning is we're talking about hiring an ombudsperson, someone whose job it is to bring transparency, make recommendations on policies and procedures," Conklin told the Inlander earlier this month. "This job is all about public trust and transparency with the public. Up until the referral of those three names, it was all done totally in private. There's a deep irony in that." History is against Condon. Not since 1973, when David Rodgers was re-elected in the run-up to Expo '74, have Spokane voters given a mayor a second term. But Condon, 41, could be poised to break the one-term curse. Sitting at a table in River Park Square, he describes what he sees as Spokane's new Expo: an expansion at the airport, Washington State University creating a medical school in Spokane, the soon-to-be-built Gateway Bridge in the University District and North-South Freeway project. Other construction projects are springing up across the city, and voters approved a levy last year to make improvements to city streets. "I think a lot of pieces have come together, and that's why I'm very interested in the next four years," says Condon. If money is an indicator, political donors are also very interested in the next four years. To date, Condon has raised more than $350,000 for his re-election bid, outraising many Western Washington politicians and dwarfing the $17,000 raised by Lichty. Condon also says he has upheld his pledge to run the city in a nonpartisan manner, hiring people who didn't vote for him for key positions. He's also been engaged on collaborative efforts with other elected leaders to reform the region's criminal justice systems, reducing cost and recidivism. A former staffer for Republican Congresswoman Cathy McMorris Rodgers, Condon's actions have had appeal across the political spectrum. He adopted a policy to give felons a chance at getting a city job. He's sued Monsanto, a chemical giant loathed by liberals. He's invested money toward reducing homelessness. In May, he ditched his suit and tie in favor of athletic shorts and sneakers to participate in Bike to Work Week. But his term hasn't been without controversy. Jan Quintrall, division director of business and development services, had dustups with the city council and developers over her hiring and firing decisions, particularly over forcing out Planning Director Scott Chesney. In January, she resigned from her post after revelations that she spent more than $400 at the upscale Spokane Club as part of a team-building exercise, then condemned Chesney for overspending on staff lunches. Condon also has repeatedly clashed with the city council, including a spat this summer over staffing levels for emergency medical service units. The council also refused to approve a $318,000 payment to Spokane hotel magnate Walt Worthy for the environmental cleanup associated with his Davenport Grand Hotel after Condon promised it to him. Last month, the mayor drew criticism for being too cozy with the business community after unsuccessfully suing to keep a worker rights initiative off the ballot. Nevertheless, Condon's perceived strength — and massive war chest — has kept more well-established challengers, such as Council President Stuckart and Democratic state Rep. Marcus Riccelli, out of the race. "I don't think he's a great mayor," says former Council President Joe Shogan. "But people are intimidated by the amount of money he's got." Lichty says the reason she hasn't raised more campaign funds is because Condon has so much money and donors don't bother. "I say don't underestimate me," she says. "I'm the perfect candidate to run against Mayor Condon, because I've spent the last six years pressuring lawmakers and holding lawmakers accountable." Lichty, 49, says she moved from Southern California to the Inland Northwest in 1995 with her husband to give their four kids a better life. In a trailer in Elk, north of Spokane, she and her family had 10 acres for goats, chickens, turkeys, dogs and cats. After divorcing, she studied social work and Africana studies at Eastern Washington University. After graduating in 2010, she became an organizer with the Peace and Justice Action League of Spokane, a progressive political advocacy group. Since then she's worked with the Washington Community Action Network, issuing report cards on legislators' records on racial justice issues, and worked on a campaign to convince voters to approve gay marriage in Washington in 2012, among others. The issue of police reform is personal for her. In 2010, Lichty's daughter, Kaitlyn Jellison, filed a complaint with the police ombudsman alleging that she was slammed to the ground by an officer. Days after the incident, Lichty was protesting at City Hall, calling on the city council to pass an ombudsman ordinance granting more independent oversight. Lichty faults Condon for not negotiating more aggressively with the Police Guild to allow more oversight. "She's an organizer, first," says Rick Schmidt, an activist with Envision Spokane. Schmidt remembers sitting in a conference room in 2012, listening to Lichty prepare him and about a dozen other anti-death-penalty activists for what to expect at a legislative lobbying day they were planning at the state capitol. Lichty, he remembers, knew the ropes. She knew who they'd be speaking with. She knew where lawmakers stood, and she advised everyone to be diplomatic. Despite the lopsided fundraising deficit, she has picked up the endorsement of state Rep. Timm Ormsby, D-Spokane, who says he endorsed her because of her grit and shoulder-to-the-wheel passion. She's also picked up the endorsement of the Spokane Education Association and civil rights attorney Breean Beggs, and has closely aligned herself with Envision Spokane's Worker Bill of Rights initiative that will be on the November ballot. "I'm a bottom-up-approach person to the economy, work, environment, everything," says Lichty. On the seventh floor at City Hall last Friday, Condon is smiling and laughing despite a tumultuous week. Wearing jeans and no tie, he banters with Stuckart about how many houses they're going to doorbell over the weekend for their re-election campaigns while preparing for a conference call with the U.S. Department of Justice. When asked about Straub, Condon says he appreciates the work he's done and is more eager to talk about projects his administration is working on. Straub will soon be gone, but, says Condon, those programs and initiatives will continue.